The President of the Bar Association of Sri Lanka Attorney U R de Silva says that it is not only imprisoned GalagodaAththe Gnanasara who wears jumpers but also another group of priests in the prison. 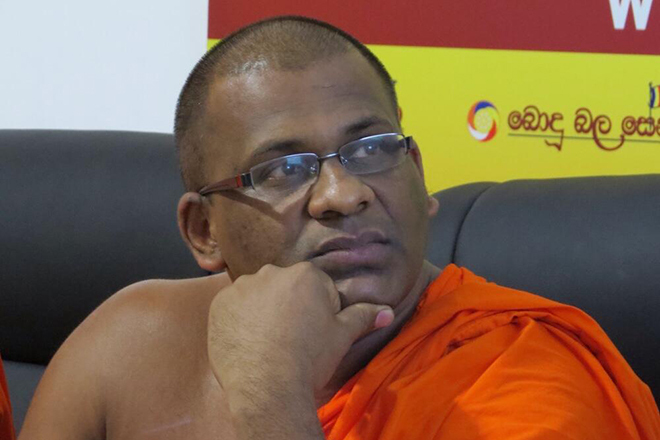 He has mentioned in a statement to ‘Lankadeepa’ newspaper that according to the law, there is nothing wrong with wearing a jumper by imprisoned Galagodaaththe Gnanasara thero. The president of the bar association has also mentioned that a convicted prisoner gets the opportunity to wear an ordinary dress only if he gets a bail order from an appeal petition. He also points out, at the moment, there are three convicted Hindu, Christian and Islam clergymen and fifteen convicted Buddhist monks are wearing jumpers in the prison.